Top Rated Local® is pleased to announce that The Custom Sign Shop is one of the top three sign companies in Virginia for 2019! “The Custom Sign Shop has delivered excellent products in a speedy fashion at a reasonable price. The staff carefully offers their expert insight into the design of your project to maximize your return on investment in their signs while ensuring you get exactly what you want. I’ve had nothing but a good experience with this business.” -Austin S.
Andrew Rapisarda, the owner of The Custom Sign Shop, took some time to chat with us about his business’ success online. Thank you for speaking with us, Andrew! 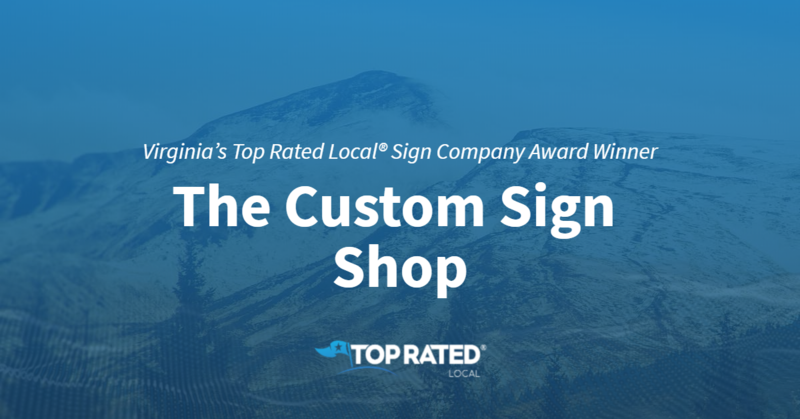 Congratulations to the team at The Custom Sign Shop for being a 2019 Top Rated Local award winner!